EPO King Fabian Quoss beats a path to RakeTheRake’s EPO2012 to defend his title! 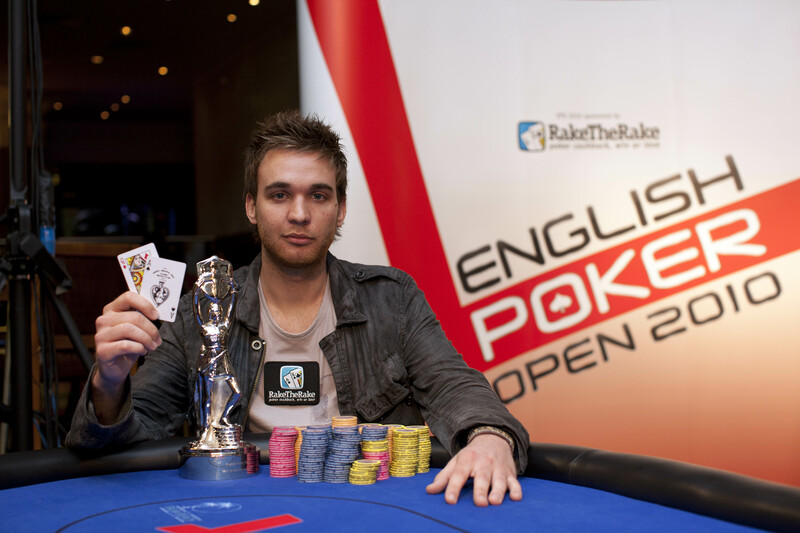 In 2010 Fabian Quoss battled against some of poker’s best to finally be crowned England’s poker king, taking down the English Poker Open 2010 Main Event for a £220,650 prize and the coveted EPO trophy. RakeTheRake are thrilled to confirm that Fabian Quoss has secured his seat at this year’s English Poker Open, returning to defend his title after a two year reign. Fabian will be up against some of poker’s biggest and best, including various players who’ve qualified through live events or secured their seat through one of Cake Poker’s ten Sunday qualifiers. If you think you’re the one to take the crown from Fabian Quoss, then register now and get an invite for you and a guest to the EPO Welcome Party aboard the HMS President on Monday 17th. Alternatively you can check out the live qualifiers which are running right up until Day 1A (Tuesday 18th) of the tournament. Register for the EPO2012 and Party! Home » Rakeback News » EPO King Fabian Quoss beats a path to RakeTheRake’s EPO2012 to defend his title!